The Woodsmith Shop television show is designed to help you get the most out of your woodworking shop. Each high-definition episode is a fast-paced, lively presentation of the tips and techniques of woodworking. 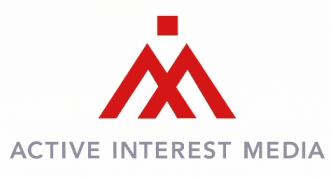 Whether viewers are just starting out or have been woodworking for years, they’ll find something new in every episode to get them interested in woodworking, or to apply to their next project. In every episode, host Don Peschke, founding editor of Woodsmith magazine, leads a cast of editors as they explore a wide range of tips, tools, jigs and fixtures, techniques, and projects. 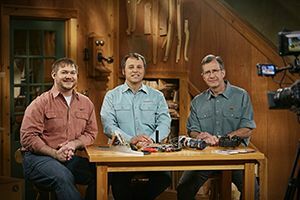 The cast members are both experienced woodworkers and editors of Woodsmith magazine, and eagerly share their expertise in the techniques segments, along with helpful opinions in the roundtable discussions throughout each episode. Logan Wittmer, Phil Huber (host), and Chris Fitch.